On March 9, the U.S. Department of Transportation announced TIGER grants, which support infrastructure projects for state and local government agencies. Overall some $500 million was allotted for 41 projects in 43 states and territories. Some of the projects have an impact on freight movement. Arizona was awarded $25 million to add flyover ramps to portions of State Route 189, which links the Mariposa Port of Entry to Interstate 19. The Mariposa port is a border facility that sees more than 7 million vehicle crossings, including 350,000 truck crossings, per year. Rep. Martha McSally (R-Ariz.) said this port of entry processes 40% of America’s imported produce. Currently, Route 189 uses traffic lights, and Arizona DOT spokesman Tom Herrmann said the flyovers will improve traffic flow. ADOT is also adding a flyover ramp to a bridge on Route 189. Nebraska also received $25 million to fund the construction of the Lincoln South Beltway, an expressway that will divert trucks away from local roads with the goal of alleviating traffic in the Lincoln area. Bridges were also given consideration during this round of funding. Maine received $10.8 million to help replace three structurally deficient bridges in Piscataquis and Penobscot counties. Rhode Island was awarded $20 million, which will be used to replace or rehabilitate a series of 15 bridges and culverts along State Route 37. 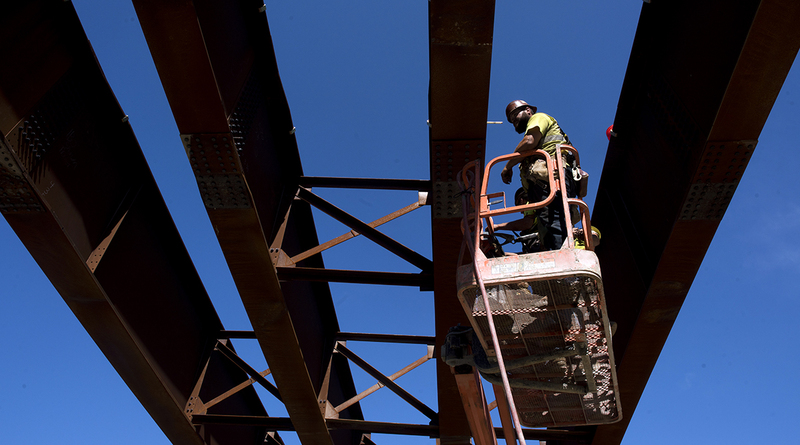 New Hampshire received $10 million to rehabilitate the two bridges carrying I-89 over the Connecticut River between West Lebanon and Hartford. Some of the bridges highlighted in the grants are important for freight movement: Mill City, Ore., was awarded $8 million to renovate the bridge on a rural freight route; Fort Smith, Ark., which lies on the Oklahoma border, received $8.5 million to repair three rail bridges; and Indiana received $10 million to rebuild the Maunie Railroad Bridge in the southwest corner of the state. The American Road and Transportation Builders Association published an analysis Jan. 29 revealing that more than 54,000 of the nation’s 612,000 bridges are structurally deficient. Since its inception nearly a decade ago, the TIGER program has awarded nearly $6 billion for surface transportation projects. The future of TIGER grants remains uncertain. President Donald Trump’s budget proposal, released Feb. 12, included no funding request for the TIGER program. The proposal also slashes DOT’s discretionary budget by 19%.